Modern education focuses on teaching all students a consolidated list of facts and information. It assumes all students are exactly the same and each student will perform in the same manner. Modern education places its trust in man and his ideals. Modern education embraces a common core of information that all students verify with standardized tests scores. Classical education focuses on teaching all students the tools necessary for self-education. It assumes all students are created in the image of God, wonderfully and fearfully knit together, with their own academic strengths and weaknesses that will develop at different rates and reveal individual passions. Classical education places its trust in a true, good and beautiful Creator who willingly sacrificed himself for our sins. 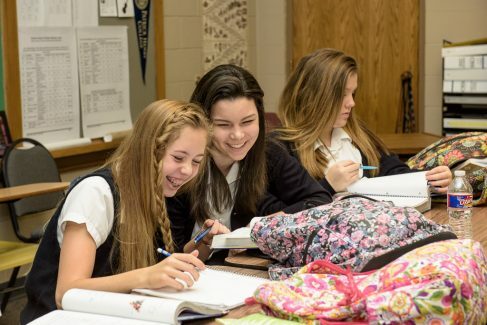 Classical education embraces an educational curriculum that students verify with their life’s calling.